The inquest is being opened tomorrow into the death of a man in Potton on January 29. Robert Marcin Kaczka aged 33 from Biggleswade, died at the scene of the collision on the B1040 near to Vicarage Farm on Gamlingay Road. 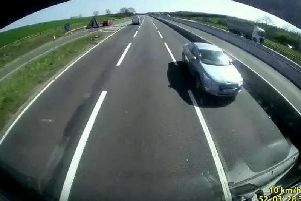 Anyone who witnessed the incident, or saw a Toyota prior to the incident, is asked to contact the Bedfordshire, Cambridgeshire and Hertfordshire Roads Policing Unit on 101.